I'm a developer and my designer sent me an XD document. He used percentage for color variations. 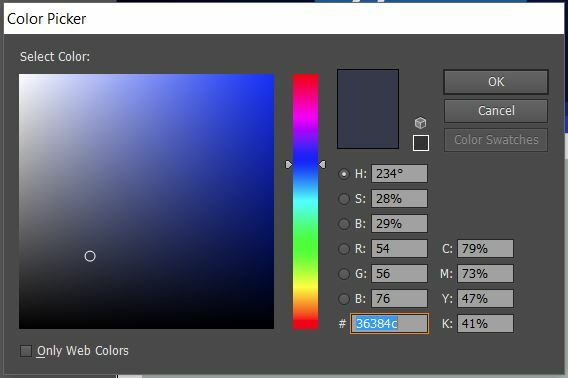 Now, I'm trying to grab the color percentage formula but couldn't get any success yet. 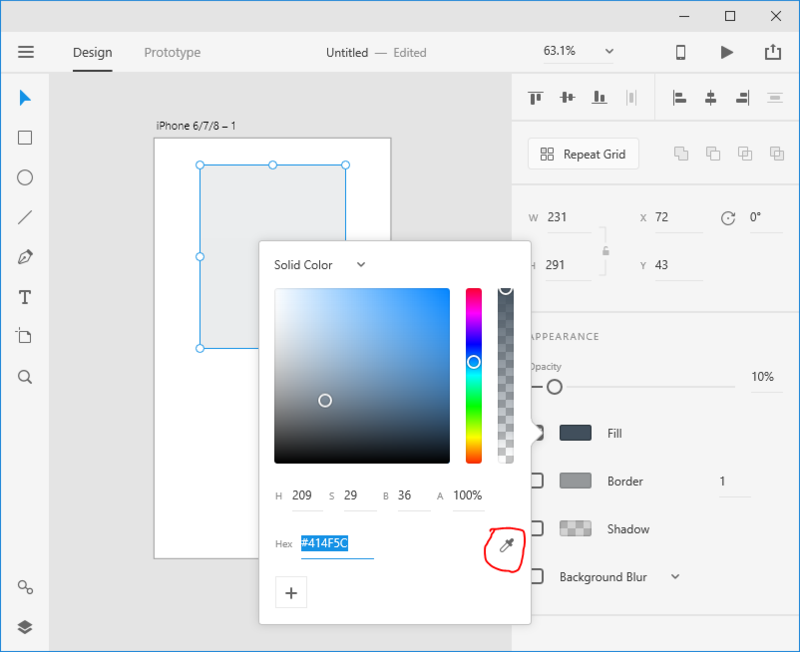 How can I know color percentage formula used in Adobe Xd? First of all if you are using a web aplication you can simply assign the same transparency value using the alpha value. If you want a solid color take a look at this post: How to make a given color a bit darker or lighter? The diference is that you need to define this diference between the value and the absolute white. This will give you tour starting 100% and a margin to lower its value. Of course this will only work asumming the background color is white. As a developer you just need that hex value (#414E5C). This contains all the color percentage information. 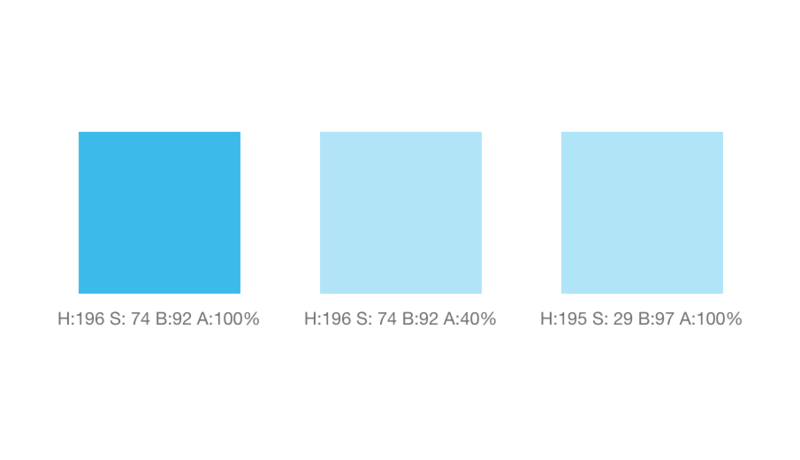 This shows HSB, RGB, CMYK and HEX. Enter any values and the others change. Your second image looks like the transparency slider, how invisible the object should be. Use the eyedropper next to the color. I have an updated version where the eyedropper is in the color panel, but the method is the same. If you use the eyedrop tool on the color it will give you the HEX code for the wanted color. Then just set opacity to 100 and the color is the same as the wanted one. 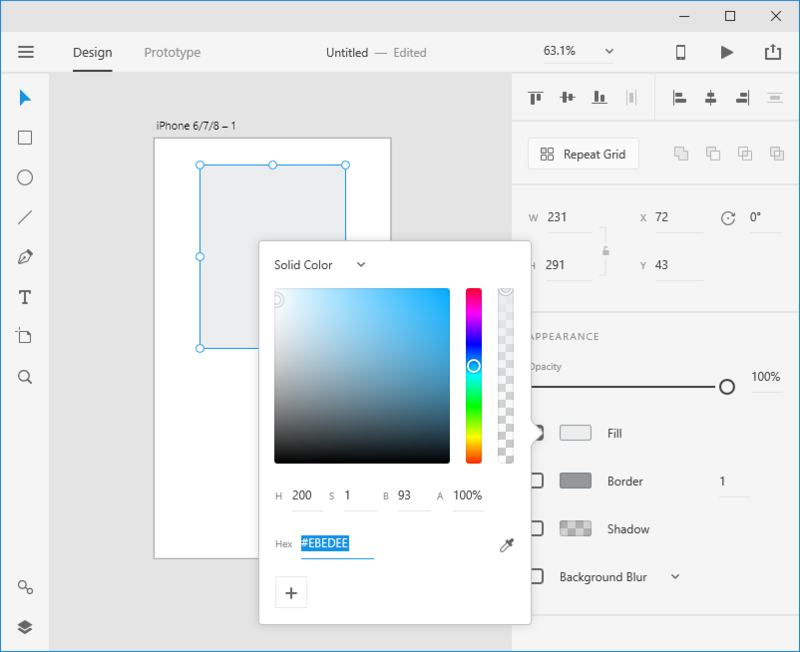 1) Adobe XD has Plug-in Library which also includes "Copy CSS" Plugin. i.e : if you have two square with different color codes, select those square and Use Copy CSS plugin. 2) If you are using LESS/SASS dynamic preprocessor style sheet language and it's very convenient. 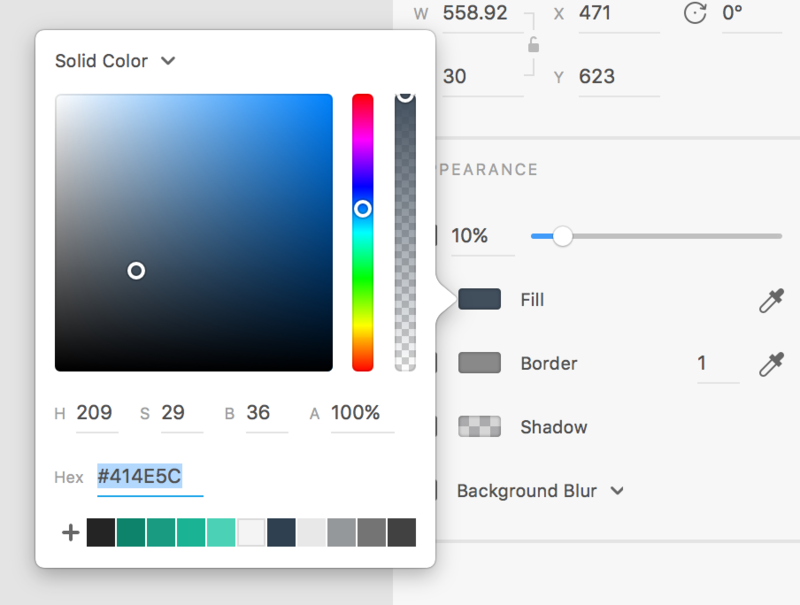 In LESS you can use Color Functions i.e : alpha (according to % value of Main Color that Designer Given). In SASS it's almost same as LESS with alpha & Opacity Functions..
With HSLA value alteration I got some results. Pure Color Value Alternating to get nearest value. Not the answer you're looking for? Browse other questions tagged adobe-xd or ask your own question. How to make a given color a bit darker or lighter?